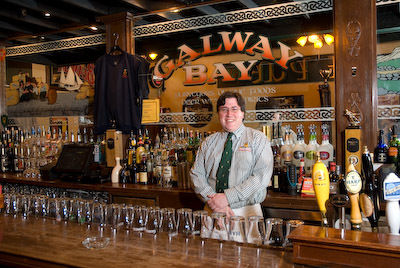 GALWAY BAY gets consistently high reviews from everyone who frequents it. All week long including Sunday they are open until 2:00 AM, and on Saturdays they stay open an extra hour, not closing their doors until 3:00 AM. It's very much like the bar on Cheers, located a bit below street level and with the same “everybody knows your name” feeling. You'll become a regular too once you discover how great Galway Bay is. It's a neighborhood bar at its best, not fancy and not pretentious. Some would call it a dive bar; we would call it a gem.